I met Justin and Jamie from Instil at a show that Sevin played in Pennsylvania. For some reason they thought Sevin was good and we became fast friends. Sevin was invited to play a house with Instil not far from my hometown. Instil pretty much stole the show that night. Jamie's drumming was super solid and hard hitting. Justin was an excellent frontman who had energy and passion. The songs themselves were the extremely straight forward, verse/chorus/verse/chorus formula. However, the way the band played them translated an excitement and energy that was seldom seen. I guess the best description I could muster is if you took the basic song structure and emotion of Undertow and added the melodic approach of Endpoint, then you would get an idea of what early Instil was putting forth. Sevin played a bunch of shows with Instil and the two bands became a tight circle of friends. Within the year I was asked to join Instil as their second guitar player. This was like a dream come true for me at the time. The open E chord riffs of Sevin were becoming tiresome and I yearned to play in a band that put forth the emotion and rawness that Instil was doing. After playing a couple shows and practicing with Instil my mind was entirely done with Sevin. 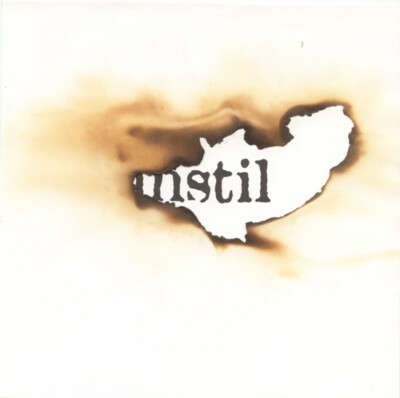 I moved onto Instil and started heavily playing shows and writing with them. My second show with Instil was a 3 hour drive to Wilkes Barre, Pennsylvannia to play with Grade, Seven Years War, Backlash and some others. It was snowing once we got into the mountains and I had only had my driver's license for 2 weeks at that point. Driving my station wagon through the snow up steep highways was my introduction to the band's dedication to playing. After playing the show in Wilkes Barre, a small label called Keystone Ember Records from up there asked us to be on a compilation they were soon putting out that would benefit a domestic violence prevention program in their community. Jamie had a friend who put us in touch with an extremely inexpensive studio engineer who (I think) was named John (though my memory is hazy on this). We made arrangements to record with John and arrived to see his makeshift studio in his parents basement. It seemed like John had never really dealt with a band that sounded like us. He had a great head of teased and feathered hair that reminded of Bon Jovi circa 1986. There were posters all over the wall of Megadeth and Poison. We recorded one song that day entitled "Lost". Our guitar player, Rob, got sick halfway through the recording and was puking the whole way home. We sent the song off to Keystone Ember, though never heard anything about the comp (years later a friend of mine showed me the comp, which was a burned cdr in a brown lunch bag). A great deal of melodic riffs and parts had been building up in my writing. I started to introduce them to the guys from Instil and we quickly ran with it. At the time there was a large influx of slightly heavier emo bands like Empathy, Infind, Autumn, Inkwell, etc. Bands like that we're having a huge influence on us. As I started introducing these new songs to the band, the older songs began to fall away. The band's sound was molding into something different and everyone seemed pretty excited about it. The song structures were still very straight forward, but perhaps more focused. 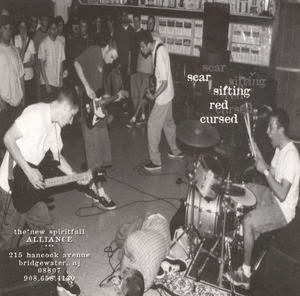 We were playing quite a bit in New Jersey and a small label called Spiritfall Records took notice. They had just released a friend's band (XBoundX) and approached us, asking about what our plans were. We were ecstatic and quickly booked time at Third Studio From The Sun in Wayne, New Jersey to record four songs. It was a rainy day and we were running late to get to the studio. We took three cars up to the studio and followed each other closely. Perhaps, too close. Jamie slammed on his breaks to avoid running a read light. Jon was driving behind him and followed suit, just barely missing Jamie while sliding. I slammed on my brakes and slid right into the back of Jon's car, busting my headlamp and Jon's bumper. Not a great way to start out a recording. We finally made it to the studio and recorded/mixed all four songs in about eleven hours. We were extremely proud of it and couldn't wait to get it pressed. Jamil from Spiritfall Records had come up with this idea to have our name printed on the jackets and then burn a hole in a separate piece of paper so that the name would show through. It came out in a timely fashion and was met with some positive praise. Later that year we met and played with a band called Grey Before My Eyes from Orlando, Florida. They were very nice people and doing a similar style of music, though they seemed to have a more subtle style that included lots of building up from extremely quiet guitar parts. We thought it was impressive and so did a label called Trackstar Records. Trackstar asked us and Grey Before My Eyes to share a split LP. Four more songs were written in which we tried to expand on our previous efforts and break out of the straight forward formula. We totally abandoned the verse/chorus/verse/chorus writing style and I pushed myself to include more sounds and genres into one song. I was influenced to do this after listening the Cave In side of their split 7" with Piebald, and later the Converge "Petitioning the Empty Sky" 7". The influence of heavier riffs didn't sit well with some of the members and a line began to form between two parties of the band as to where the style of the music should go. Those last four songs were recorded, again in about eleven hours, at Third Studio. We sent them to Trackstar Records, but by the time the record would come out Instil had imploded. The interest in pursuing different musical styles and the lack of properly communicating ideas had torn the band apart. We played our last show at the Manville Elks Lodge in Manville, NJ with Endeavor, Ensign, Shift and a few other bands. Some of the material on those last four songs would lay down the blueprint for Justin, Jon and I to form a new band soon after which incorporated a more diverse range of genres.